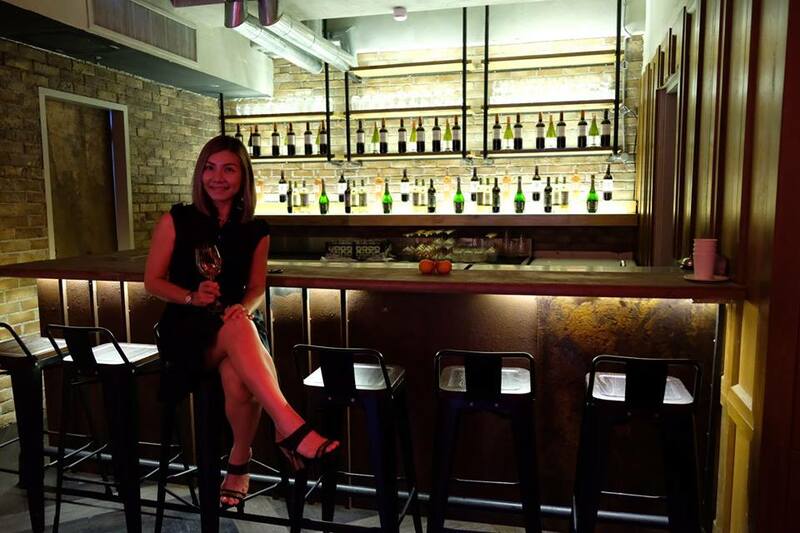 If you truly love wine, we bet you'll be excited as we are with the opening of the First New World Wine Club in Malaysia. 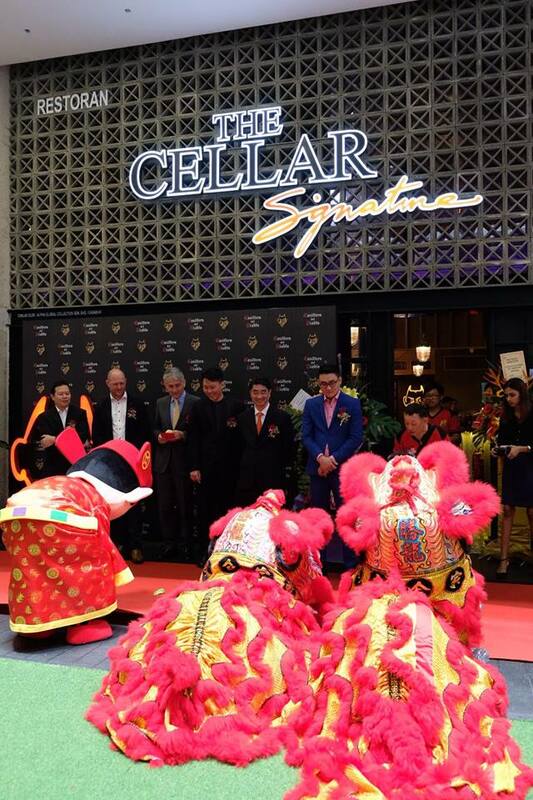 A few weeks ago, The Cellar Signature in collaboration with VCT Group of Wineries Asia and officiated by H.E Rodrigo Perez, Ambassador of Chile to Malaysia, launched Provinage at the grand opening of The Cellar Signature in One City USJ. 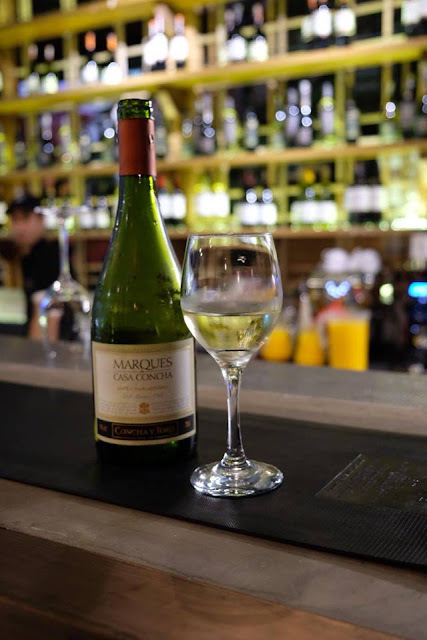 Did you know there are actually varieties of classifications for wine? Two of the more common classifications are "Old World Wine" and "New World Wine". The majority of Malaysians tends to think that the "Old World Wine" is better than the latter, but this is not exactly the case. In fact, they're both equally good and paired well with fine cuisine, it is simply a matter of preference. 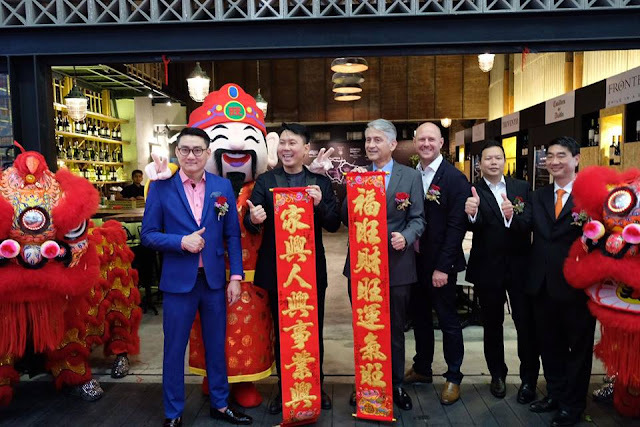 If you don't know yet, the "New World Wine" are those wines that produced outside of Europe and the Middle-East, such as from Australia, Chile, Argentina, South Africa, New Zealand and the United States. 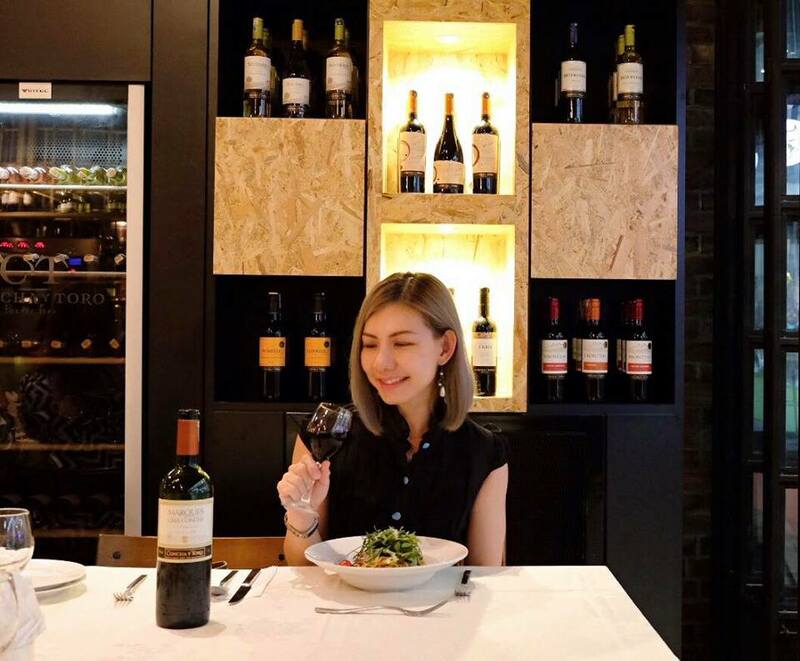 The Provinage aims to promote the understanding and appreciation of the "New World Wine" among Malaysians wine lovers. 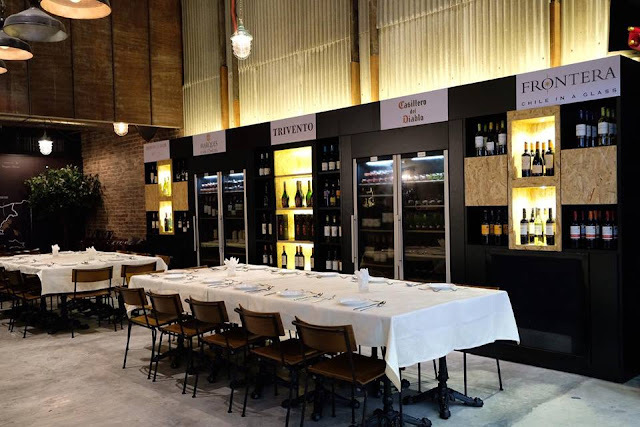 Provinage will be organizing monthly wine talks and wine tasting event for the public. The club is limited to only 100 exclusive members by invitation and members will get to enjoy exclusive privileges to wine and dine at the Cellar Signature, hotel stay at eCity Hotel plus trip to the "New World Wine" vineyards. Digital 4.0 will be deployed in the club too, where members can share, learn and grow with each other through the Provinage Social Media platform. On top of that, Provinage will be organizing their first "New World Wine" Expo in One City on September 2018 supported by the Embassy of Chile and Chilean Trade Commision in Malaysia. The spacious restaurant spans over two levels and 5600 square feet features a multi-concept dining experience such as parties, lounge and sports exudes a classy ambiance and contemporary decor. 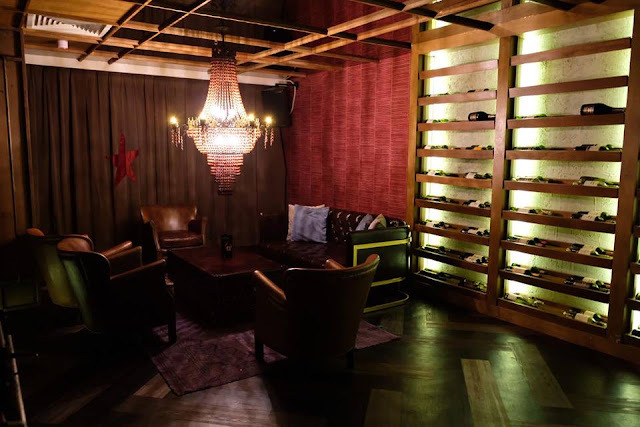 For those who want privacy, there's a VIP room available furnished with luxurious leather seating and low tables. 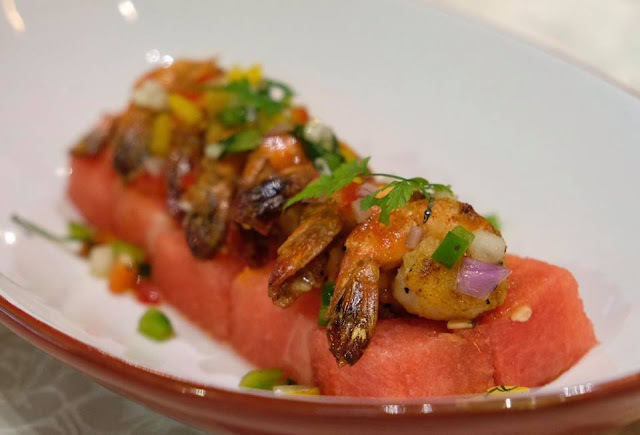 For appetiser, we were served a sweet and savoury combination of succulent prawns and refreshing watermelon cubes, such a treat for the tastebuds. 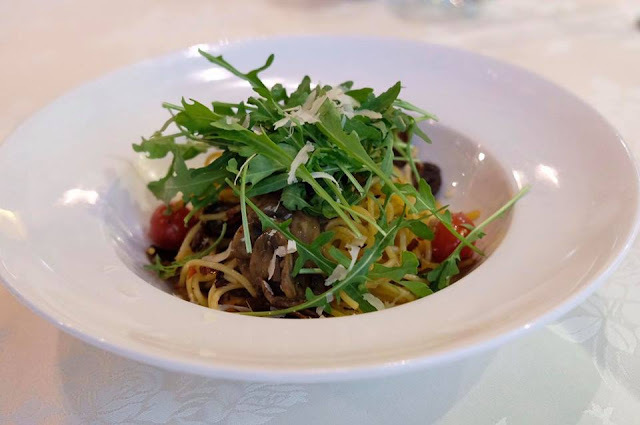 The delicious al dente pasta heavily laden with olive oil was truly fragrant and packed a punch! 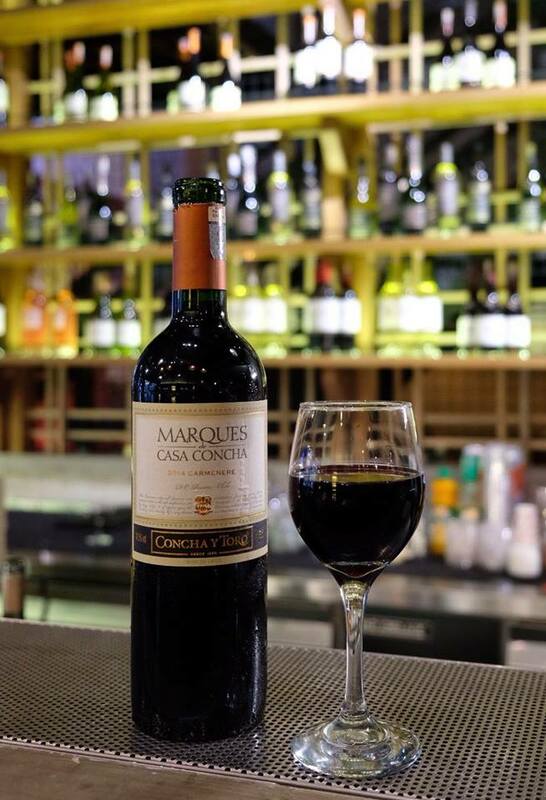 A fairly good bottle of wine, Marques de Casa Concha Carmenere 2014 (RM230) is an exceptional dark red wine with intense fruity aromas of black berry, dark chocolate and hints of vanilla from the oak. 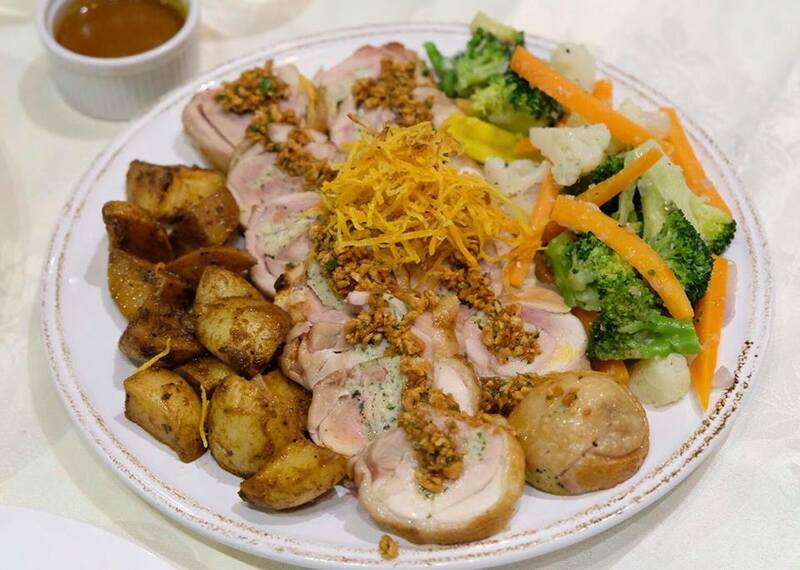 Tender and juicy roulade topped with aromatic fried garlic was absolutely delish. Nothing beats a great steak and wine. 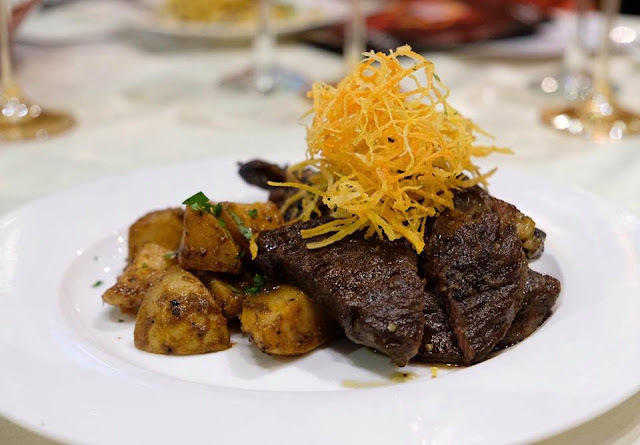 The well charred, mouth-watering juicy ribeye was absolutely tender and flavoursome. In fact, this was the best steak I've had in a long time. 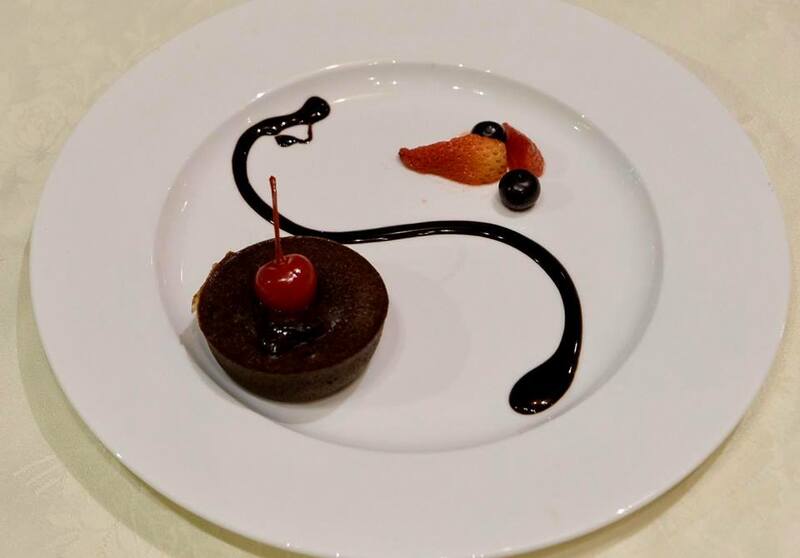 The beautifully presented lava cake was perfect to end our meal on a sweet note. 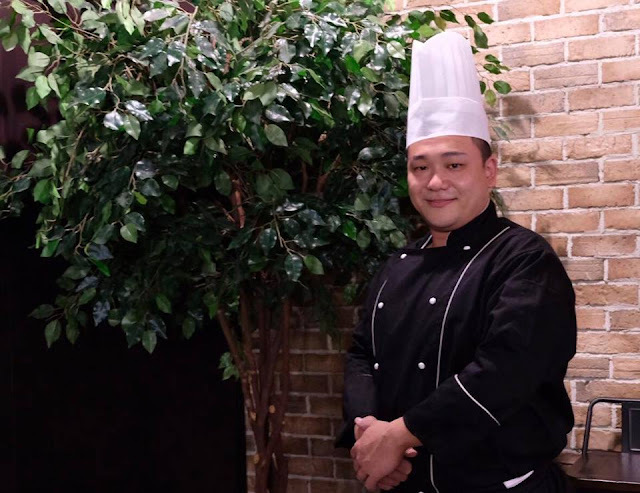 Kenny Chin, Head Chef of The Cellar Signature has created a list of gastronomical cuisine such as Cream of Trio Wild Mushroom Soup, Volcano Stone Grilled Sirloin, Sous Vide Proscuitto-wrapped Chicken Roulade which pair and complement well with the "New World Wine". The wonderful ambiance, amazing Western cuisines coupled with lovely "New World Wine", The Cellar Signature will surely amazed you.